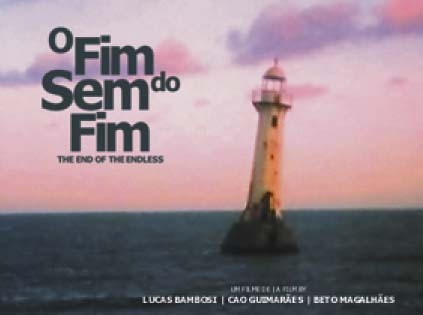 O Fim do Sem Fim [something like The End of the Endless] is a feature documentary film that has as scenery the upcoming disappearance of some jobs and professions in Brazil. It composes an immersive picture about the creative geniality and the resistance against new cultural forms and technological trends. The project was based in a large research, which was conducted however as an attempt to follow the main subject with freedom and with no obligations concerning documentary rigid methodologies or even historical or anthropological approaches. Along the work, several workers give valuable statements and tell important things about their lives. In most of the cases life and work means the same thing. Some people are in the same job for almost 80 years. Others just don't know how to do anything else - or never have thought about it. It has a tragic side, as their job does not fit in modern way of living anymore their own existences may fade away too. But their confidence and obstination override pessimistic view about the future. Creative interpretation of the reality helps them to preserve not only their existences but also their dignity. Using metaphors and playing between fiction and reality, the experts are portrayed in different ways of approaching. Some of them are introduced with no further interference while some are presented in a more elaborated form. Reinforcing an antropofagic view of such a culture, the film does not stick with any homogeneous resource or uniform aesthetic The work tends to strength the concept that the talent and originality of Brazilian people is to reinvent themselves from being oppressed by any form of cultural imposition. Born in 1965 in Brazil. Bachelor in Social Communication/Journalism at UFMG Belo Horizonte. Studied Semiotics at PUC-São Paulo. Master of Philosophy at CaiiA-STAR, University of Plymouth - UK. By the end of the 80's start to develop studies and artistic work using new media and moving images, exploring the expressive potentiality of the video. Most of his works are authorial and independent pieces, including a wide variety of formats, such as video-installations, single channel videos, short films, music videos, and interactive work. Have been frequently awarded and constantly screened inside and outside of Brazil, in more than 30 countries. Born in 1964 in Belo Horizonte. Bachelor in Economics at FACE-UFMG(1987). Since the middle of the 80ís works as a video and film productor. Founder of Trincheira Video, the first community/street TV in Belo Horizonte (1986). 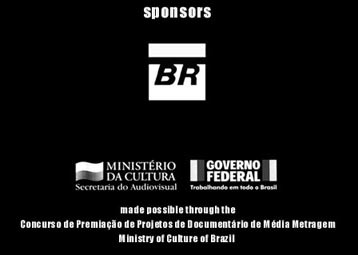 Also organised two important video festival in the city of Belo Horizonte. By the end of the 90ís started his career as a producer and director of documentaries. Born in 1965 in Belo Horizonte, Brazil. Bachelor in Philosophy at UFMG, Belo Horizonte. Master of Arts in Photographic Studies , Westminster University, London, UK. Started working with art and photography in the middle of the 80ís, showing his works in different exhibitions in Brazil and abroad. 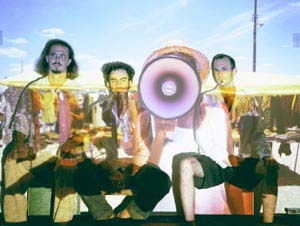 In the 90ís started developing experiences in moving images using mainly super-8 and digital video. Also made some short and large films, art installations and a book about sensorial experiences.